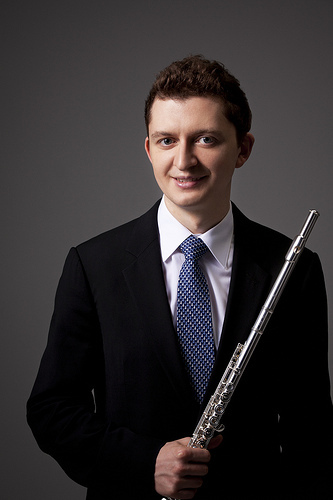 Denis Bouriakov officially begins his tenure as Principal Flute Nov 30. He makes his subscription concert debut soon after. (NOTE: an earlier version of this post had his start day as Nov 23. The Nov 30th date was confirmed by the LA Phil to me last week, but I transposed the calendar wrong when preparing the original version). Even though the former Principal of the Met Opera Orchestra has yet to appear on stage at Walt Disney Concert Hall, he already began to make his presence felt in Southern California. He appeared last night as soloist with the Chamber Orchestra of the South Bay in CPE Bach’s Flute Concerto in d minor and the Fantasie by Fauré (very bummed to have missed that). 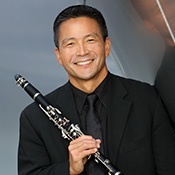 In addition, he has already committed to being a guest artist for the 2016 “Beyond the Master Class” flute seminar run by Jim Walker, a former LA Phil Principal flute himself. Michele Zukovsky is still Principal Clarinet and sounding fantastic in the process, but her final appearance in that capacity on December 20th is fast approaching. I sit down with her this Wednesday to chat about it and, well, whatever comes to mind, and will share the interview with everyone a few days before her last concert. No word on when the gentlemen will play their trial weeks. It would have to happen while Mr. Dudamel is in town, and I’d be shocked if they could schedule either of the musicians for the coming week since the auditions were only a few weeks ago. A more likely scenario would be during The Dude’s Spring 2016 appearances. His concerts Feb 25 – March 6 feature some interesting repertoire with meaty clarinet parts (including Copland’s Appalachian Spring and the Mahler 3rd Symphony); the programs from those two weeks will also be played on the LA Phil’s March 2016 tour to New York, Amsterdam, Paris, Luxembourg, and London, so if the trials occur in that time, it’ll be interesting to see if either of the candidates join the orchestra on that tour. If the trials don’t occur then, the next opportunity would be during the last three weeks of the season, May 19 – June 4. If Mr. Allakhverdyan ultimately gets the position (and I’m not saying he should or shouldn’t), he’d not only be the third principal woodwind player to join the LA Phil directly from the Met in the past few years (Mr. Bouriakov and Principal Bassoon Whitney Crockett being the other two), he’d be the latest player to depart/escape the Met. 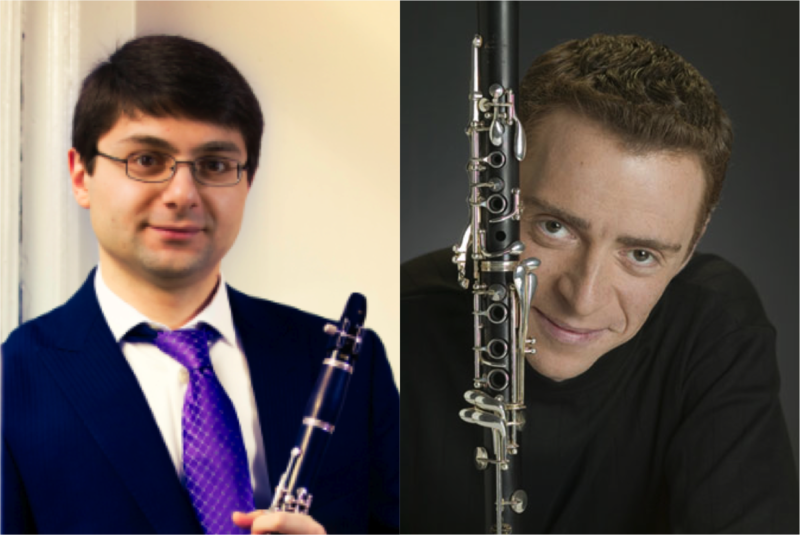 The Met’s other Principal Clarinet, Anthony McGill, has already left to join the New York Philharmonic. Many fans of the LA Phil might be shocked that Burt Hara isn’t among the finalists or perhaps that he wasn’t offered the job outright. Certainly, the orchestra’s distinguished Associate Principal and former Principal with both the Minnesota Orchestras and Philadelphia Orchestra has the credentials and the chops to do the job, and during his time in LA, his playing has been consistently magnificent. So what gives? It’s also worth noting that by not taking the audition, he’d almost certainly be on the committee selecting the finalists; in other words, he’d have a huge say on who’d be leading the section going forward. That has its own benefits. 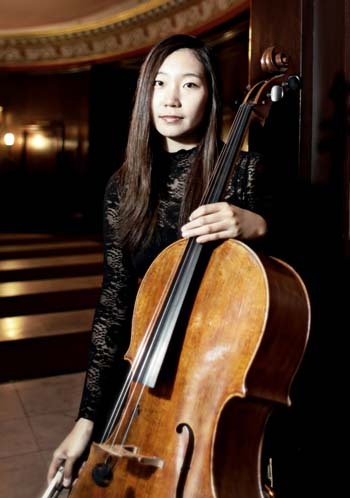 In the meantime, Dahae Kim, Assistant Principal of the Detroit Symphony, has taken over as “Acting Assistant Principal” as a substitute player. Once Mr. Hong officially gets his promotion and if/when he obtains tenure, Ms. Kim will officially join the LA Phil and begin her own tenure process. It’s a matter of opinion which position is “better” (a more prestigious job with a less prestigious orchestra or visa versa, living in LA vs. Seattle, etc.). What is indisputable is that according to the latest IRS public filings, Mr. Cole already has a higher compensation than all but eight concertmasters of US orchestras, so odds are good that he’d have to take a pay cut to join the SSO, potentially a large pay cut. According to the most recent applicable Form 990s, Mr. Cole has a total compensation over $300,000/year; Adaptistration.com shows the Seattle concertmaster’s total pay in the same year to be $205,000. Mr. Cole’s wife, Akiko Tarumoto, holds the 5th Chair in the LA Phil’s First Violin section. I have no doubt that she could earn a job with the SSO if she wished; however, she’d have to wait for an actual audition to even attempt to join that orchestra, and even if/when she did take it, there’s no guarantee that she’d win the audition and stranger things have happened. Furthermore, she would also have to take a pay cut to move to Seattle. I’m expecting that at least one more candidate for Principal Trombone will play a trial during the next two weeks. Jim Miller (LA Phil Associate Principal) continues to be Acting Principal. When needed, Kim Ohlemeyer, former Principal Trombone with the Phoenix Symphony, sits in with the orchestra. UPDATED (Nov 27): With regards to the Associate Principal Horn position, auditions will be held in late February 2016. In the meantime, my understanding is that while there are no candidates officially under consideration currently, many horn players have played first chair with the orchestra over the past few months when Andrew Bain needed a break: Joseph Assi (Associate Principal, Dallas Symphony) has been the most frequent guest; others have included Karl Pituch (Principal, Detroit Symphony), Roger Kaza (Principal, St. Louis Symphony), and David Everson (Assistant Principal, Detroit Symphony). Amy Jo Rhine, the LA Phil’s 3rd Horn, has played first chair as well on occasion. Tags: Ben Hong, Boris Allakhverdyan, Burt Hara, Dahae Kim, Denis Bouriakov, Ilya Shterenberg, MET Opera, Metropolitan Opera Orchestra, Nathan Cole. Bookmark the permalink.